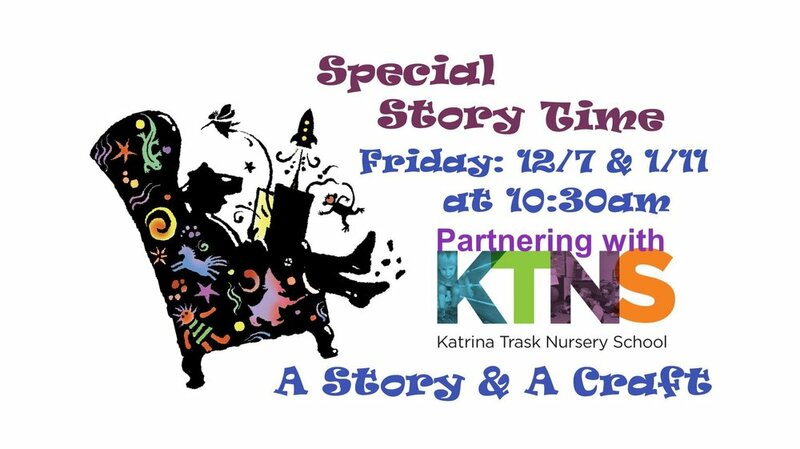 Northshire Bookstore have partnered with Katrina Trask Nursery School for a special story time once a month, this month taking place on Friday, December 7th at 10:30 a.m. One of the teachers will read a story than make a simple craft with the children. The next Story Time & Craft will be on Friday, January 11th. Free and open to the public. Northshire Bookstore is located at 424 Broadway in Saratoga Springs.